By using around 300 photos and 30,000 words SCOTLAND'S BEST is a travel guide that helps you make the most of your Scotland trip. First, it provides detailed planning information on TRIP ESSENTIALS and descriptions of Scotland’s main DESTINATIONS. Then the app suggests a few ITINERARIES so you can optimize your time but also groups Scotland’s finest sights and attractions by INTEREST or ACTIVITY so no-one misses a highlight they will love. So if it’s History or Whisky you’re after; you want to travel in Luxury or with Kids, you can be sure you wont miss any of Scotland’s highlights. Extensive background info on much of this will help you appreciate Scotland a little more, while an EAT, DRINK & SHOP section includes suggestions of where you might get a good bite, a wee dram and a souvenir along the way. The fiercely independent little country of Scotland may lie on Europe's fringes, but it's so packed with history and charm that exploring it is well worth a week or two of anyone's time. Many visitors will already be familiar with many of the classic Scottish set pieces before they arrive: tranquil lochs, heathery glens; hilltop castles beneath brooding mountains; pretty villages beside idyllic beaches; and homey pubs serving good local whiskies. All are fairly easy to find, but of course there's far more besides, particularly in Scotland's two great and very happening cities: Edinburgh and Glasgow. • One-click PHONE CALLS (on phones). • NAVIGATE quickly using the app's global search; internal hyperlinks, and its many images. • LOCATION info (using your device's GPS). • Detailed MAPS and the ability to ADD YOUR OWN markers. • Save and share FAVOURITES. • Easily CONTACT the author. 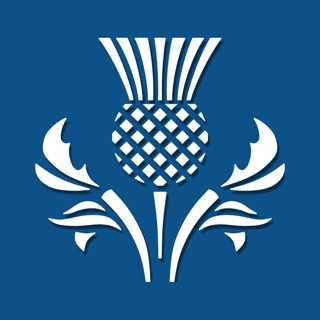 • The entire contents of Scotland’s Best is freely available by installing above. The only restrictions are that this will only work when you are online and only with intermittent ads. • An IN-APP PURCHASE eliminates all ads and allows you to take all content (except maps) offline. Christian Williams has been a freelance travel writer since 1998. He's covered destinations all over the world, but mostly specialises in Germany and Canada. He's lived in Scotland for 20 years and is pleased to have finally written about somewhere on his doorstep. Fully updated with new listings, new content and many minor improvements. Quick, intuitive app, written with clarity. Great content, hidden gems and Scotland's famous sites. I used this on my trip last month. Leave the guidebooks at home--this is all you'll need. Everything I need to know to plan my trip to Scotland. Nicely laid out, easy to navigate. Thanks for the very helpful resource! And just enough detail to make a guidebook unnecessary for most trips.